My story began before I knew what family was. My parents had separated and eventually became divorced. Being raised with a single mom led to challenges that gave me sincere opportunity to grow and persevere, but first to grieve. I found solace in specific outlets that helped with these life transitions including my faith, writing, close friends, and playing the drums. These pieces were especially helpful years later. When I was in high school my mother was diagnosed with cancer. The process included chemo and radiation, major surgery, and our lives were turned upside down. I didn't have the tools to share how difficult this was for me at the time and the fear of losing my mom kept me from the reality of the situation. During my freshman year of college my mom came to visit and shared tragic news that the cancer had returned and this time it was terminal. With my brother being in the Navy and stationed in Pearl Harbor, Hawaii I continued to minimize the situation for fear that she would be gone and I would be alone. In the Spring of my Sophomore year I lost my mom to cancer. I sank deeply into a depression. I isolated, withheld my feelings from loved ones, and felt completely numb. The same outlets that helped me as a teenager were holding me together as a young adult, especially my faith. Walking through this part of my story was brutal. The bereaved refer to loss as the gift you never wanted. It's a gift because you never see life the same again. You may find yourself telling people you love them more often and in more ways, making people more of a priority over tasks and endless digital notifications. In my darkest hour I drove off campus and stepped into a GriefShare support group in the gray of the winter season. This group, a college peer elective class, and my closest friends and family were a lifeline that I desperately needed. Through this process, the group, and my college elective I began to see the importance of self-care and helping others without burning out as the one giving care toward others. These tools were necessary in pursuing my father and developing a deeper relationship with him before his death in 2010. Before I had turned 30 years old I had lost both of my parents and experienced loss beyond measure. During my engagement to my wife we went through pre-marriage counseling. Let me tell you, it all came pouring out. You mean, I pay you and you listen, provide me insight and the steps and skills necessary toward a life of healing? Sign me up! It was in counseling that I realized my story was not over yet and I had more to do with the next chapter than I had previously realized. It was time to re-write my story, and I did. After teaching for over a decade I went back to school and pursued my master's in Professional Counseling and completed the two year clinical training to become a Licensed Professional Counselor. Throughout the programs I worked hard and held fast to the steps of a life of healing. I believe that we are an active part of our community, we belong to something bigger than ourselves. I find myself very fortunate to have been supported by many. My story is one of undisputed love. In the photo album pictured, I share what I like to call my influences and outlets. Throughout my life specific people supported my wellbeing including my mentors, influences, friends and family. These memorable experiences have had a profound impact on me. I am incredibly thankful for this. The power of love in community can change the world - it has changed me! Today I am passionate to contribute as a Licensed Professional Counselor alongside individuals, couples, families, and organizations. I have shared my story both locally and throughout the country and to other regions of the world including Peru, Ghana in West Africa, Haiti, and other parts of the world. In my story I inspire people and empower them to know that their story is important, worth sharing, and not over yet! 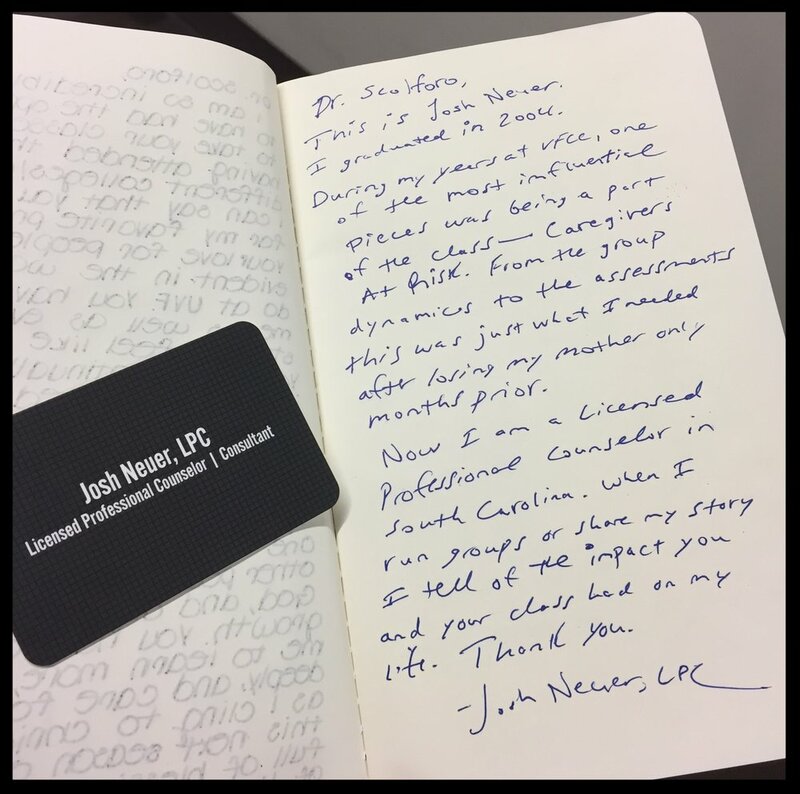 Josh Neuer is a Licensed Professional Counselor who speaks worldwide about how individuals, families, and businesses can rewrite their story and ignite tangible and lasting results. Josh is passionate about empowering change in communities through professional counseling, organizational team building and life changing speaking engagements. He is the founder of Josh Neuer, LLC, a counseling and consulting business, a certified educator, husband, father, and is absolutely crazy about relationships.